Is your neck always stiff and sore? Do you have a tension headache that just never seems to go away? You spend so much of your time at a desk or in the office which can lead to tight muscles, tension, stress and lots of pain. This kind of bodily pain and stress has become an epidemic! · getting sick a lot more than usual? Workplace stress and tension in the body can affect your body more than you realise and have major long lasting effects that include anxiety, depression, headaches, insomnia and can even lead to a compromised immune system, diabetes or serious heart problems. This kind of bodily tension can even sneak up on you, so it’s best to alleviate before it turns into chronic illness or severely affects your quality of life. Yoga therapy ball workshops are a simple and effective way to unwind all this accumulated tension; no matter how long it has been sitting in the body. In a matter of a few hours you could experience enormous, life changing benefits and undo years of tension. With the perfect combination of yin yoga, deep tissue massage and various world renowned myofascial and therapy ball techniques the yoga therapy ball workshops will help you release muscle tissue in a more profound way that your average yoga, exercise or stretching cannot achieve. 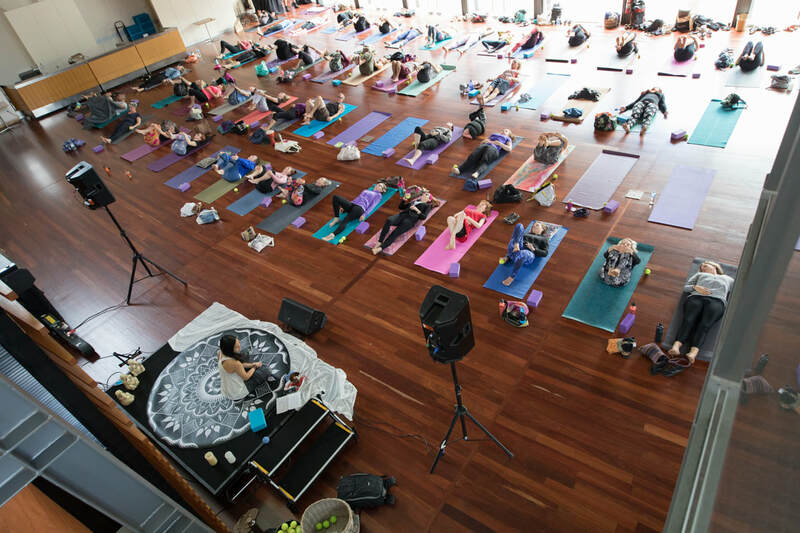 Led by an experienced yoga teacher and healthcare professional, these unique workshops teach you and your staff the ultimate self care techniques, are unlike other things you’ve tried and make the perfect addition to your corporate wellbeing or team building programs. You can now give yourself a therapeutic massage, without the costs or the hassle of leaving home! Straight away you will start to reap the benefits and be well on your way to a healthier, stress free version of yourself. · learn techniques that can easily be used at home. People often notice the benefits are far reaching and unexpectedly extend into other areas of their life, increasing happiness and overall wellbeing. ‘I have weekly massage for chronic pain, learning how to do it myself or even paying to come to a workshop each week would save me money. It also means whenever I have a flare I can treat myself,’ Sarah, 2016. A tranquil, slow paced workshop in a safe and friendly environment that will focus on trigger points in the body (where the tight knots are) and gently unwind these areas using a special massage ball. Once you have worked away a lot of the soreness and tension, then it’s time to enter some very gentle and easy yoga poses to help lengthen and realign the muscles to unlock your body in a way it’s never been unlocked before. Everyone! Whether you’re an avid cyclist, runner, experienced yogis, someone who keeps physically active or someone who has never tried yoga before or is quite inactive, people with mobility issues, those who are experiencing high levels of stress and those who just want to learn a new self care technique. 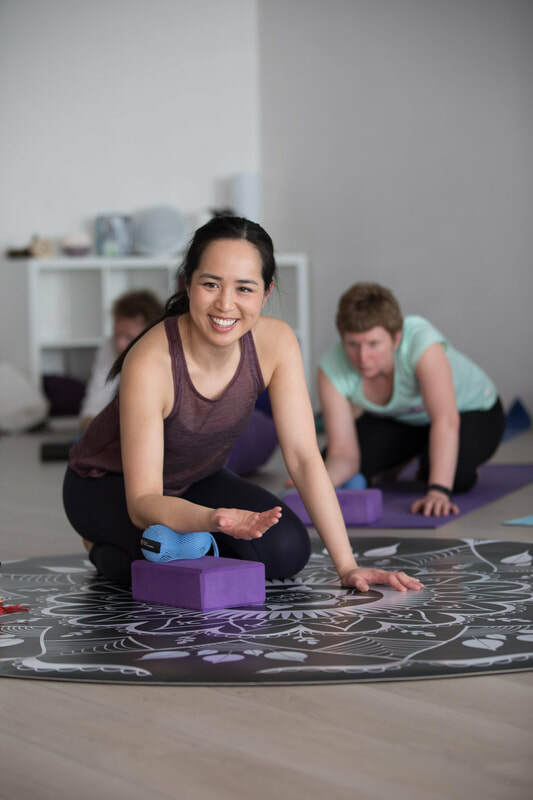 Deanne Kong is an esteemed yoga teacher, massage therapist and pharmacist. With over twenty years of yoga experience and extensive industry training, she has a wealth of knowledge to share and loves helping people find new ways to live a healthier and happier life. Working closely with athletes, sports people, corporate groups and yoga students Deanne sees first hand the enormous results that myofascial release and therapy balls can bring. ‘Beautiful class. Really enjoyed the mix of relaxation and tension releasing postures. Really helped me ease some sore spots on my back. I feel like I've just had a massage,’ workshop participant, 2016. Prices range from $25 per person, upwards (depending on your needs). Suitable for five to forty people, per workshop. All equipment supplied and can be held at your workplace or offsite. Don’t let tension and stress rule your life any longer. Organise for a therapy ball massage workshop for your workplace today. ‘Deanne has a caring and friendly manner that helps you feel safe and get the most out of her valuable workshops. 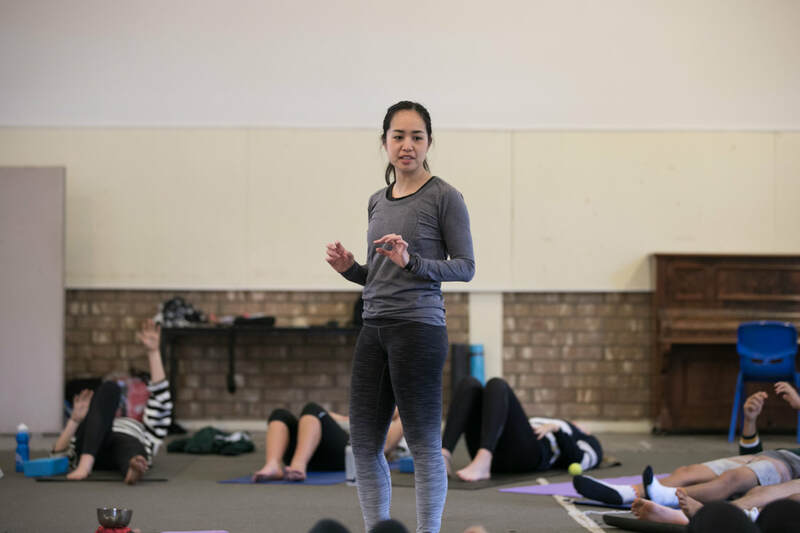 She is very knowledgeable about the body and the techniques she teaches should be taught to everyone!’ Vanessa, 2017.